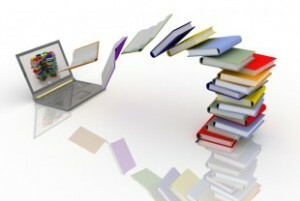 Home › FAQ › How are Online Programs Accredited? More and more online college programs are being offered to the public due to the rise in demand, and this increase in distance education offerings creates a need for people to learn how online programs are accredited. In the past, people who were ready to return to school to earn a college degree or certificate would stray from online offerings, because many believed the degrees were not legitimate. Now that there are associations that are dedicated to accrediting online colleges and their programs, prospective students can be assured that they will be paying for quality programs even if they study from home. Read on, and find out how these programs earn their special accreditation and how you can avoid the scary diploma mills you have heard of in the past. The process of accreditation is not a new one. Programs and universities have been applying for voluntary accreditations with national, regional and specialized associations for decades. This is because an accreditation assures that the institution or the program is committed to using the best practices and innovation in education. If the school had a regional accreditation, students are also allowed to apply for federal financial aid through the school. The problem is that not all online programs hold accreditation, and students do not know where to look. Where Do Online Programs Get Accredited? The Distance Education and Training Council (DETC) is the only agency that only accredits online programs. Each of the others will accredit traditional and distance education programs if the school voluntarily applies and meets the accreditation requirements. If you would like to find online schools with valid accreditation statuses, you can find a compiled list in the Open Education Database. Earning accreditation can be a long process. Schools or colleges with their own specialized programs must first apply with the agency. When they apply, they will write a self-assessment to evaluate the school and measure its operations against the agency’s standards. After this is received, the accredited committee will do a peer review where they evaluate curriculum, grades, materials and other data. A site visit will follow. Only after these steps are completed, will a decision be made, according to CALEA. If accredited, the school will be monitored and then subject to a periodic review. Related Resource: How Many Schools Should You Apply To? You should never just apply to a college, because tuition rates are low. Before you do this, you need to find out if the school is going to teach you what you need to know and meet the standards in the education sector. Online programs are unique, and this means that accreditation is even more important. Knowing how online programs are accredited will make you appreciate the ones that hold an accreditation currently.